Like many others, you may have plans to use the summer holiday to explore the world and backpack across Europe. For those of you finishing your time at the University, you could even be planning to backpack over the next year or so. Whether it’s volunteering in Lesotho, doing an internship in New York or taking a train ride through East Asia, it’s important to consider all of the essentials before you set foot abroad. If you’re planning to travel you have probably thought about your flights and accommodation, and have set aside some spending money for your time abroad. If you’re really organised you may have bought your sun cream, sunnies and flip flops. One thing you may have forgotten however is how best to keep in contact with your loved ones whilst you are away. Of course there are internet cafes or Wi-Fi hotspots, and let’s not forget your mobile phone. However, this is where many people get caught out. 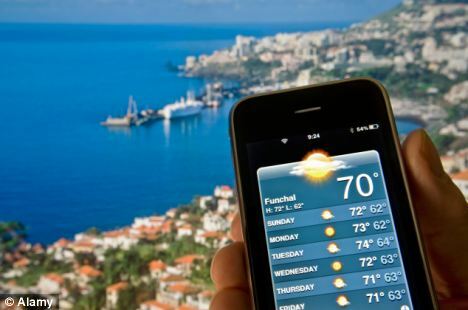 According to Ofcom, 1.4 million Brits in the past 6 months suffered from mobile phone bill shock on their return from a trip abroad. We don’t necessarily think about using our mobiles in any other way than when we are home. If we want to make a call, we make that call. But you could be racking up a huge bill. A 15 minute call home to mum from Hong Kong, for instance, could cost you up to £9 for the privilege and you might want to forget about uploading that 1MB photo to Facebook when it could cost you £6. It’s easy to see how your bill can quickly stack up and potentially cost you your ticket to the next destination. In recent months Ofcom and the European Commission have tried to solve the problem of mobile bill shock and have introduced legislation to protect EU residents traveling within other EU countries with an “opt-out” approach. By default you will be covered in Europe up to the cost of €50, but once you hit that limit – which can happen very quickly – you are effectively cut off. Or if you choose to opt-out, you’re left exposed to being hit with a hefty phone bill on your return. This is all fair enough if staying within Europe- if you’re travelling further afield; it’s back to square one. No matter how long you’re planning to travel for you shouldn’t be put off from calling, texting or browsing the internet whilst abroad. Part of the fun of travelling is being able to share your experiences with friends back at home by posting pictures on Facebook, tweeting “wish you were here” to your boyfriend you’ve left in Scotland and of course making that regimental phone call to Mum to let her know you’re okay. All of these should be just as easy abroad as in the UK. In many ways, travellers and holidaymakers are more money savvy than ever before. We always look for the most cost effective solution on the market, but for students this factor is even more important especially when you have spent the whole year working to save up enough money for your trip. With this in mind students need to put more consideration into their mobile phone before they travel. There are many options out there, you just need to select the best option to cover you and your travels. Using a pay-as-you-go international SIM means that you can control and keep an eye on your spending and top-up as and when you need to. What’s more, data is priced at more reasonable rates; this could be from as little as 29p per MB. A cheap international SIM card allows you to keep in contact with your friends and family for longer, for less. Look for a provider that offers you free incoming calls, such as GOSIM- that way your friends and family can call you. One less thing to worry about if money is becoming tight, especially as GOSIM includes a UK number which your Mum can call without costing her the earth too. If you’re a keen photographer and know you will wish to upload pictures of your location to Facebook or Twitter whilst you’re travelling, make sure you’ve found a deal that offers a good rate for roaming and networking online. If, on the other hand you’re planning to text and call make sure you’ve found a deal that offers the best possible rate for calling and texting both internationally and back home.